Pretty stoked to get my hands on the new range of Manfrotto Bumblebee camera bag, anyone who knows anything about photography will know that the guys at Manfrotto produce some stella photography gear from Tripods to Lighting and Camera Bags. The Manfrotto Bumblebee-230 PL camera backpack is a professional camera bag which I personally use for my wedding photography and my travels. This carry-on pack* is built to keep your pro photo gear protected while providing long-wearing comfort. The signature design produced by Manfrotto safeguards a gripped DSLR body with 70-200/2.8 attached plus 10 lenses, or an attached 400/2.8 with 5 lenses, or a professional camcorder with its accessories. The “checkpoint-friendly”, designated laptop-only section also holds a 17” laptop for editing on the move. The bag can be divided into top and bottom compartments by closing the main zipper stopper, making gear quickly accessible from the top. Alternatively, the top section can be reserved for personal items. The unique AirSupport back & harness system not only distributes weight evenly on the shoulders, waist and hips but also maximizes breathability thanks to a suspended mesh panel. The load lifters, sternum straps, shoulder straps and waist belt are all fully adjustable in length to give you the utmost flexibility and comfort. The backpack’s water-repellent Rip-Stop nylon/polyester fabric, hollowed ITW Nexus buckles and Duraflex hardware make the pack both ultra-lightweight and strong enough to withstand the most intense use, ensuring long-term protection for large amounts of gear. 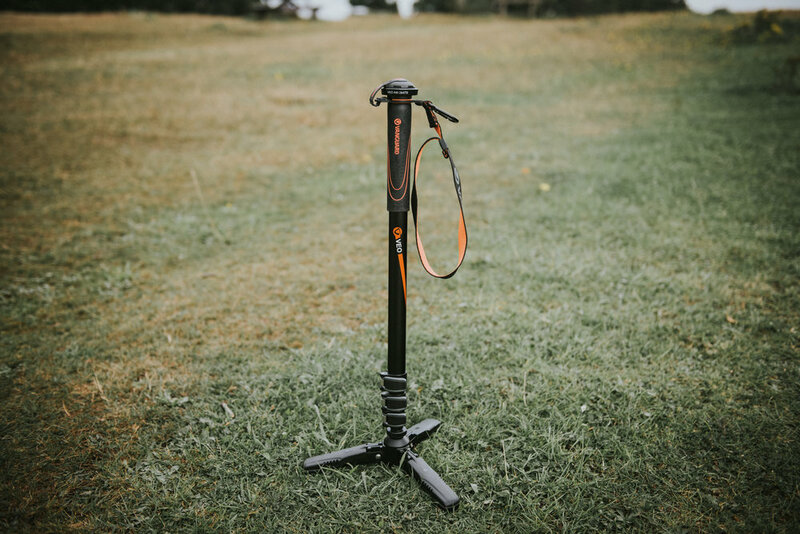 The tuck-away NeverLose tripod connection is always ready to secure a variety of professional tripod sizes. Besides the external zip and stretchable pockets for accessories and a water bottle, there is also a lens pouch on the waist belt for super-quick and easy lens changing. This model comes with a DuoFace sun/rain cover, which provides extra protection in rough weather and reflects sunlight, keep gear cool and dry all day long. *Check with your airline for current carry-on requirements. Manfrotto's CPS – Camera Protection System has been specifically engineered and laboratory tested to garantee the highest level of protection and shock resistance where it really counts. I use the Bumblebee backpack to transport my wedding gear from the office to each wedding destination. Although I generally keep the backpack in a secure place whilst I'm shooting weddings, I still need protection whilst driving and transporting my kit in and out of various venues. I use the backpack to it's full potential when I'm shooting Pre Wedding Shoots and out capturing my own personal photography, whether that's street photography or landscape photography. The dividers are a huge selling point for me, most pro photographers have an abundance of kit, and it won't all be needed on various shoots. I personally take different kit to weddings depending on the couple, the venue and of course the great British weather. The Bumblebee backpack allows you customise each compartment to easily fit to the exact size of the gear you're taking on a particular shoot. I often find myself packing gear for three or four days, during wedding season it's more often than not I can be shooting three weddings in a row. I not only need an abundance of kit, I also need backups, hard drives, chargers, Macbook and my Loupedeck. The Bumblebee-230 caters for all this and more! This bag comes with the option and proper connections to attach your tripod externally. Again, this is another fantastic reason the Bumblebee-230 caters for all genres of photography. Lugging a tripod around, when you've already got a ton of kit on your back isn't always a pleasant experience, but the Bumblebee-230 does offer a decent solution for this. If I'm totally honest, when I heard the backpack can hold a decent weighty tripod, I did imagine it would end up swinging around on your back and giving someone a nice whack, but it's really really good! It sits perfectly at the side of the backpack and with the advanced supports on the Bumblebee-230 it doesn't weigh you down on that particular side. I tend to carry monopods whilst shooting weddings and I can easily fit a couple without any problems. You also have the added piece of mind that the external rain protector has your back covered in extreme circumstances. On one side the protector protects your bag and gear from any crazy downpours. On the reverse you also have a silver side which will deflect direct sunshine and prevent your gear from overheating... unfortunately I haven't had much chance to field test this in the UK.. surprisingly! The Bumblebee-230's has come in use full during wet weather weddings, I always rock dual camera bodies on weddings. If the weather has taken a turn for the worst and I need to cover one, the 230 is large enough to just throw my bodies and lenses in and quickly throw the rain protector over... that's if you have a willing bride & groom to brave the rain! For more information or to pick up your own Bumblebee 230, click here! This year I was invited along by Loupedeck to the 2017 Photo Plus Expo in New York. A huge thank you to Loupedeck, Felix and Mikko for having me along to not only demonstrate their awesome editing console but also for the opportunity to come across the pond and work along side the awesome wedding photographer: Jere Satam ! 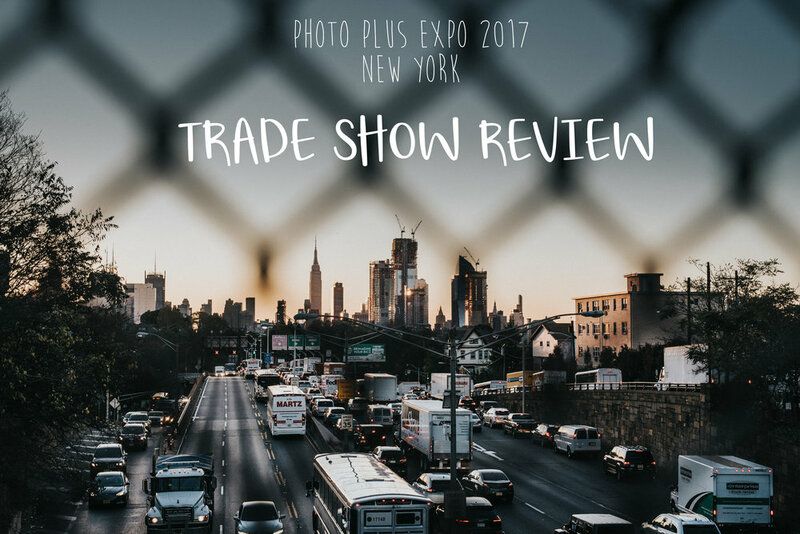 As the Photo Plus Expo 2017 in New York draws to a close, I look back at some of the exciting products, live demonstrations and seminars that I found most useful. This year’s show featured over 7 stages that gave advice & demonstrations for the beginners and professional photographers across the four days. One of the fantastic things about the Photo Plus Expo is the experience and knowledge available to everyone who walks through the Javits Convention Center doors, you can be anything from a wildlife photographer to a wedding photographer and there is something for everyone. To get the ball rolling, I'm starting with the really awesome multi camera straps by Hold Fast. If you haven't heard of these guys before, they create the awesome MoneyMaker camera straps made from high grade leather complete with metal d-rings, safety straps and a superb versatile design. Most importantly, the straps look the business, keep your cameras secure and feel comfortable even when you're shooting a 12-hour wedding. What actually is the MoneyMaker? Well it's a harness-like camera strap that goes over your shoulders and allows you to carry 2 camera bodies with lenses or you can even carry three camera bodies with some other attachments. It's so much more than just an alternative to your standard DLSR camera strap and it certainly is a big contender when you compare the MoneyMaker to the range of Black Rapid straps or Camera Belts on offer. The Hold Fast MoneyMaker allows you to attach any camera and lens with a tripod mount to either side of the harness, what's more, the way the MoneyMaker holds the camera means they hang by your side and keep out of your way. I shot my last wedding using the strap from Hold Fast with two Nikon DSLR's with a 24-70mm lens and a 70-200mm lens with no problems at all. You can walk around freely and the cameras stay tucked into your side and they're ready for you when you need them, you never have to worry about picking up and putting down your cameras when you're on a shoot. Welcome to full-frame FX splendour like you’ve never seen it before. From the studio to the remotest locations on earth. The D850’s fast, ultra-high-resolution FX-format sensor uses 45.7 megapixels of effective resolution to deliver richly detailed 45.4 MP files. Print ultra-high-resolution images in ultra-large formats. Shoot true full-frame movies at 4K. The back-illuminated CMOS sensor has no optical low-pass filter and incorporates gapless on-chip micro-lenses as well as an anti-reflective coating. Incoming light reaches the photodiodes more efficiently so you get exceptional detail and incredible dynamic range. And the 153-point AF system, inherited from the D5, assures you of the pin-sharp focus and wide coverage you need for ultra-high-resolution full-frame images. Performance is everything. When you pair ultra-high-resolution imaging power with the flexibility to shoot in any environment and adjust to any workflow—you excel. Creative flexibility. Stamina. Precision. The D850 doesn’t just perform—it takes perfection to a whole new level. You get uncompromised image performance whether you shoot RAW size Large, Medium, or Small. And both the camera and the optional MB-D18 Multi-Power Battery Pack boast extensive weather sealing: you have the freedom to shoot for longer periods, anywhere. This is also the first DSLR ever to feature an in-camera focus-stacking mode for exceptionally sharp images with vast depth of field. You're probably aware of my love affair with Instax, especially when it comes to my wedding photography. My photography is all about creating amazing photographs for couples, sure images with gorgeous light, tones, composition and mood certainly help along with a good DSLR or even a mirrorless camera. But ignoring all that good stuff for a minute, the most important thing comes down to creating awesome memories for the couple and their guests. My job as a wedding photographer isn't being good with my camera settings, although that is kind of needed, it's capturing those moments, moods and delivering that emotion through image making. So getting back to Instax, as a wedding photographer this is why I love the Fujifilm Instax range and why it never leaves my side during weddings. It allows me to create instant memories that couples and their guests will cherish. If you're not aware of these super awesome cameras, then you've probably been living under a rock the last couple of years. The Fujifilm Instax Camera is a spin on the old instant photography cameras, providing instant prints from the camera body, let's be honest who doesn't love vintage & retro polaroids? The Instax range is a premium, fully-fledged camera design that sets itself apart from the "cute" image projected by its predecessors. Designed for a vintage look, they feature a variety of photography modes allowing more freedom, control and creativity in your photography. The cameras also have a host of shooting modes, this is much more than a point & shoot camera, settings such Landscape, Macro, Party & Portrait modes allow you to take back some of that control the old school instant cameras lacked. You actually have some control over what image the camera creates and prints, with the added bonus of being able to under/over expose and choose whether the flash (which is brilliant) fires or not. Furthermore, the Instax range actually looks the part, their vintage look mean they can sit in your camera bag or around your neck with a DSLR and not look out of place. I take a Fuji Instax to 99% of the weddings I capture and I feel comfortable having it with me and I'm always conscious about looking proffesional at weddings! The Creative’s Business Plan: Who says it’s 5 years? Let's talk tripods for one second. Back in the good old days, tripods were a major part of a photographer's gear, and for some, they still are. You'll still find them in most photographers' office and out and out and about with landscape and wildlife photographers, but for wedding photographers in-particular, they don't always leave the boot of the car. You may be surprised to hear then that I use a monopod at 50% of the weddings I capture, and the advances in monopods over the last few years make them an even more valuable addition to my kit bag. Wedding photographers don't usually have the time to set up a traditional tripod, their bulky 3 legged stands make them a heavy part of your gear but also a nuisance with hundreds of wedding guests around. Although every wedding photographer shoots in a different way there are some common uses for tripods. Firstly, long exposures are some times required for the night shots of the venue, secondly you may need to capture a bracketed / HDR shot of the venue or wedding reception and finally more and mroe wedding photographers are adding video to their packages and well, a tripod (or rig) goes without saying. The best thing about all of the above is that it can be done, with practice and the right gear, on a monopod. We're specifically talking Vanguard’s VEO AM-264TR here, so if you have a traditional monopod, just hold off taking it to your next wedding and keep reading. The VEO AM-264TR has a slightly different design to a conventional monopod, while offering the advantages of being easier to carry and quicker to set up than a tripod. At the base of the VEO are three foldable legs featuring anti slip rubber feet, these foldable legs provide a tripod style stand... but without all the hassle. There's also a ball joint at the bottom which allows for smooth pans and tilting, perfect for wedding photographers who also shoot video. If you don't require the tilting and would rather the monopod stays secure and upright, there's a great ball-head tigthening screw that keeps everything vertical. When the tri-stand feet are folded securley up, which is perfect for traveling, you will find a rubber foot which allows you to use the monopod in all its traditional format. I have no problem taking the Vanguard VEO AM-264TR to the weddings I shoot, its superb finish means it's going to look professional, it beats having a tripod were the legs are usually too wide to spread, I can also mount a tripod head onto the top, another plus for videographers. Finally, the sensible price compared to the competition, but yet it doesn't compromise on build quality, gives it the overall winner of monopods with all that tri-stand goodness. I'm always looking to capture BTS shots of me working at weddings, it might sound a bit pretentious, but I would reccomend all wedding photographers to try it. 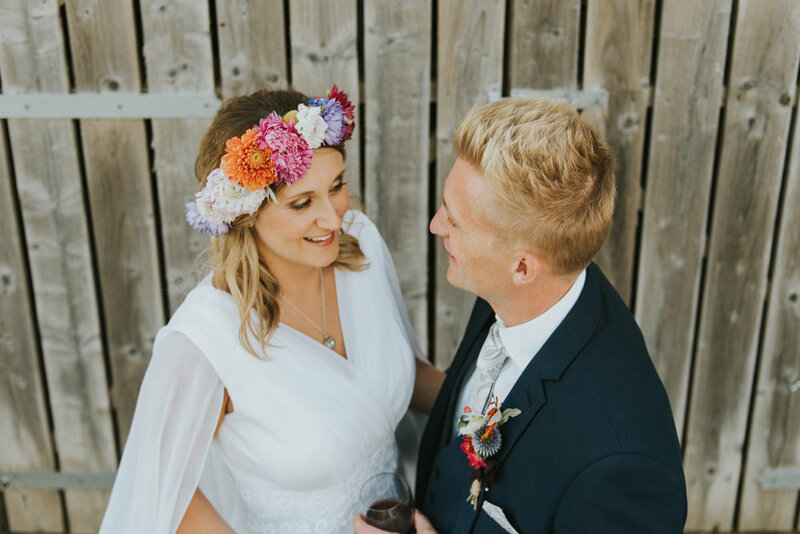 Firstly it gives you great shots you can use on your social media, sure couples want to see plenty of your wedding snaps but having a few shots of you working, just reassures them of your professionalism and that it's you that rocks up to shoot their wedding. Secondly it gives you imagery you can use for your own professional development, for me personally, I'm always needing shots of me at work for blog posts and submissions... take this blog post as an example. Finally it gives you cracking pictures you can use on your personal social media accounts, chances are all your friends see your wedding snaps on a regular basis, so giving them something a little different from time to time keeps them engaged in the content you produce. The great thing about the Vanguard VEO AM-264TR is its weight and size. It's so compact and lightweight you can attach it to the side of your camera bag or even throw on the back seat of your car without any problems. For a reasonable price and insignifacnt weight that it will add to you I can't recommend one enough. When I'm not shooting weddings I still take the Vanguard VEO AM-264TR around with me, it attaches perfectly to my Billingham >> Awesome blog here << and allows me to capture video, high vantage points and long exposures whilst I'm out and about. Geek alert: it also makes for the perfect selfie stick, you can position the monopod and stick the camera on self timer to grab a shot if you're on your own or with family and friends... or you can use as a huge selfie stick if you so wish. Every wedding photographer needs shots of the venue both inside and out. 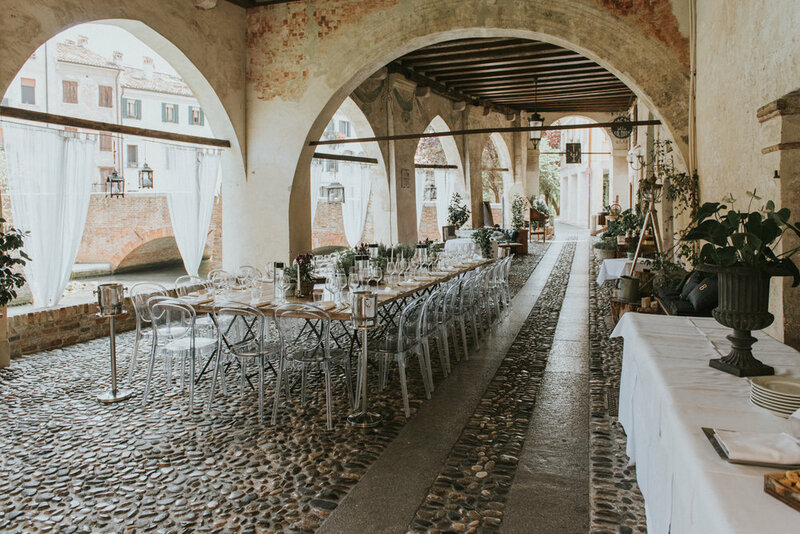 Typically you will capture these shots throughout the day, when you arrive with no guests around, middle of the day with all the guests in the shot and last thing at night when daylight has passed and the guests are partying away. Typically the shots through the day can be captured handheld, although I do find myself using the Vanguard VEO AM-264TR for the internal shots of the venue and wedding reception to capture bracketed / HDR shots. My main reason is to ensure all the highlights (usually windows / entrances) and shadows are not over/under exposed.. but I'm sure you all know how bracketting works. The VEO with its three foldable legs means it's perfect to grab these shots ensuring the camera stays in a fixed position.. Adobe Photoshop and Lightroom will thank you for this! As I mentioned briefly above, more and more wedding photographers are adding elements of video or even full video into their client packages. There are some top photographers out there who are killing the combination of still and moving image and honestly their work is out of this world. For me I use video for various reasons, firstly and it comes back to my professional development again, I use it for blog and social media content. Without giving you a boring lesson on video and social media, we all know video is pushing the boundaries and rules the social media game currently, so the more video you add the stronger your social media presence will be. Secondly I use video to document my journey as a wedding photographer, it might be behind the scenes footage, videos of me working or traveling to awesome destinations. Whilst I might not upload the content, I have it available for when the day comes I want to use it for advertising or create a montage of my year etc. Finally the video can be used to give your clients another add on / package to your work... it goes without saying all couples would love to have a cinematographer/videographer at their wedding but if the budget just wont stretch, offering a video alongside your wedding photography may just be the solution... if you can master it! The Vanguard VEO AM-264TR is perfect for capturing quick video footage, it's not going to set the world alight when you compare it to the camera rigs and tripods out on the market, but if you want something that's quick to set up, easy to carry around, eliminates camera shake and gives you the use of movement and panning with the ball joint, then I highly recommend! I'll let you into a secret, every wedding I capture I always plan to try something new with my photography. It usually consists of a pose I haven't tried before, something experimental with my camera settings, a new piece of kit or most commonly a new perspective/vantage point/angle. Whilst the Vanguard VEO AM-264TR, nor any monopod for that matter, wasn't built for this idea in mind, you can use it to create a collection of new perspectives in your wedding photography. You don't need me to explain this one, it's a case of grabbing yourself a VEO Monopod and trying out some new vantage points! So I get back from shooting a wedding in Treviso, Italy and as usual I have a ton of packages and products sat waiting for me to open up and start reviewing for the Creative Resources and Advice Blog, but there's one I was really excited to get my hands on. The guys over at Loupedeck had let me know they were sending across a system for me to try out and I thought why not give it a proper field test and really put it through its paces by editing a week's worth of wedding images with the Loupedeck on Adobe Lightroom. In a nutshell, the Loupedeck is a console that has a whole host of buttons, twisty knobs and sliders/rollers that all represent those sliders you see on the right of Adobe Lightroom. Its aim is to save you time on both a PC or Mac, become more creative with your photographs and unlock the potential and detail of every single image you work on. Loupedeck was founded by Mikko along with Felix and Eero with an impressive background in developing for Nokia... so let's be honest these guys know their stuff right!? Initially launched on Indiegogo, their campaign finished 488% above target, people could see the huge potential in Loupedeck and they weren't wrong! As always, I'm brutally honest with my Field Tests, if I were to purchase the Loupedeck initially without, any reviews to hand, the price does appear to be slightly steep. At £337 approx. it certainly wouldn't be something I would rush into and I would have probably found myself searching Google to see if it really is worth it. Honestly... it's worth every penny IMO. As any professional wedding photographer will tell you, time is money, especially when you're shooting 35+ weddings per year, so any product that can aid your time efficiency certainly is worth considering. First impressions aren't everything and in Loupedeck's case, we're all more focused on how the console performs than its overall appearance. But and a big but, there has to be some credit given to the packaging. the Loupedeck comes in a very stylish black box, firstly with its own sleeve that features the logo in raised text which houses the main box. When you're investing in what may be a considerable amount of money to many photographers, you appreciate a well-packaged product and it certainly screams professional from the outset. Once you open the box, the console is packed just like you see with those Apple Products: compact, neat and simple. You've got the console itself, the USB cable housed in its own box and a black card with the worlds simplest set up instructions. You can have the Loupedeck from doorstep to plugged within a matter of minutes and still appreciate how sharp it looks along the way. The console itself is approximately 400x150x40mm and weighs 600g, it hosts over 50 controls including buttons, rollers and dials. Each one is individually labelled with various effects, controls and adjustments you will commonly see on the right of the developed model in Adobe Lightroom. Everything is clear and from the outset looks easy to use, with everything clearly highlighted with text and pro or hobbyist could pick up the Loupedeck and be up and running almost straight away. The console's look and feel is spot on, the matt black works and there's one LED light that signifies if you're editing Hue,Saturation or Luminance. It's actually quite lightweight, I expected it to feel a little heavier, but it doesn't feel cheap.. all the buttons, nobs and dials feel like they could take some stick... but only time will tell there. Seriously the installation doesn't even need words, it's simple, works and does exactly what it says on the tin. The black card that you receive with the Loupedeck has two instructions, firstly go to www.loupedeck.com/setup and secondly plug the console in... and that's it, you're up and running. Once you're all set up you're good to go in Adobe Lightroom, you'll be given the option to edit some of the custom buttons on the console, you can change these and always come back and change at any other time by just clicking the Loupedeck button at the top of Mac screen (I'm sure this is similar for Windows..). In total there is 22 personalised functions you can add to the Loupedeck so it can become more personal to your own workflow. The main being the 'P' functions along the top, these can be easily programmed to your own presets and you initially have 8 of these to change, furthermore you have a second section of 8 to work with which can be enabled by holding down the 'Fn' key on the console. So that gives you 16 available presets, literally at your fingertips that can be applied instantly... you don't even have to take your eyes off the image to apply them, this itself is a game changer for wedding photographers. You also have the option to change the C1 dial which allows you to have two (using the 'Fn' button) customisable functions set up. Whilst the customisation of the C1 dial is limited, it can be set up for usual adjustments depending on how you edit. I have C1 to adjust both my vignette and level of noise and it works perfectly for me. I have C2 set up to select my Graduated Filter Tool which I use heavily on my skies within my wedding photography. I also have C3 set up to toggle my Spot Removal Tool on and off, to use both of these tools you will need to grab the mouse as usual but it certainly does speed up by pre selecting the tool and then it's ready to go with your mouse. Whilst wedding photographers work flow may differ from person to person, we all start with thousands of images that firstly need selecting to move forward with our edits. Many photographers I know do this outside Adobe Lightroom, but just personal preference I work solely in Lightroom for 90% of my workflow. 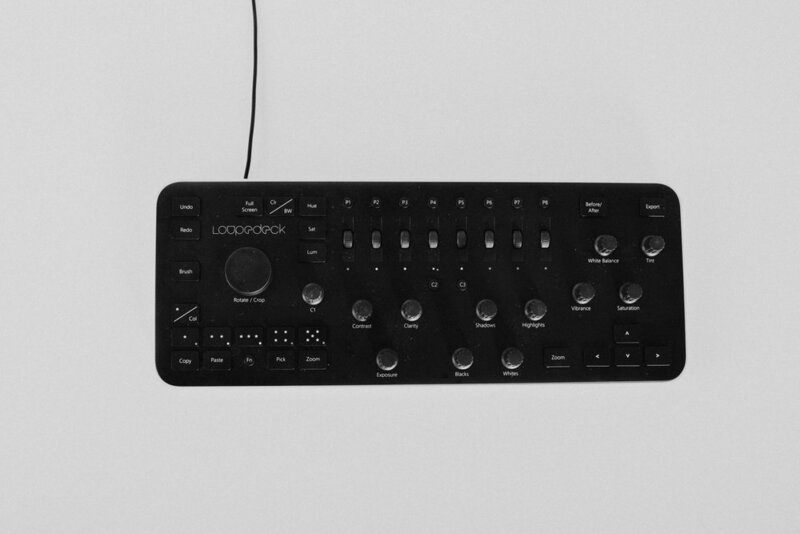 Loupedeck features a large host of selection tools all available at your fingertips, agreed, most of these selection tools are available on a keyboard. It's good to know they're still the same as a keyboard although the Loupedeck does have a more appealing visual aspect and easier to put your finger on the selection tool, physically, rather than knowing the keyboard shortcuts. The console's Copy and Paste features work fantastically well, you literally have 'Copy' and 'Paste' buttons to work with. Again with one click of a button, no keyboard shortcuts, you can copy and paste adjustments to a single image or Fn + Paste to paste the adjustments to all the photos that you have selected in the filmstrip. You finally have a collection of obvious buttons, Undo, Redo, Brush, Full screen, Before/After, Export and Zoom which shouldn't require any explanation for you readers. So now we get to probably the most important part, how the Loupedeck performs and does it actually speed up my workflow? Firstly the responsiveness of the basic adjustments are perfect, each dial turns smoothly in the hand/fingertips, and there is no delay in the adjustment happening on screen, it works just the same as using a mouse/trackpad. As you move the dial up it makes slow adjustments or turn the dial very quickly to move faster from end to end, you can also press each dial to return the selected adjustment to zero. This isn't advertised on Loupedeck's website but I also found you can make two adjustments at once, for me I found this useful for bumping up my Exposure and Contrast by turning both dials together, which is something I adjust on 99% of my wedding photographs. So not only can you make multiple adjustments within seconds with your fingertips, you can jump from Exposure to Vignette which with a Mouse or Trackpad would require you to move over to your develop settings and navigate up and down. So with all your adjustments such as Exposure, Contrast, Clarity, Shadows, Highlights, Vibrance, Saturation, Blacks, Whites, White Balance, Tint and Vignette all next to each other and accessible to your hand... you genuinely forget about the mouse for all of the above. Now we move onto the Rotate/Crop button on the Loupedeck, you've probably noticed it already, is the big bulky round thing on the left of the console. This is an impressive function the guys have added, for Roation it works perfectly well. As a wedding photographer, I'm the first to say I'm not always taking enough care with aligning my shots perfectly, especially when you have a split second to grab a shot. So I'm often rotating and cropping my shots and if I'm truly honest, a mouse can be a bit of a nuisance to get it perfect straight away. With the Loupedeck you move the big chunky circle dial and your rotation grid will pop up instantly, from there the rest is fairly straight forward. You turn the dial left or right until you have the desired rotation, but something that is even better, if you hold the Fn key on the console, your rotation adjustments become more precise ensuring you can achieve perfection every time... this is one of my favourite features on the Loupedeck. The crop feature requires you to press the dial and then use your mouse to crop the image as normal, ok yes you have to use your mouse for the crop.. but when you think about it i'm not sure how else you could achevie a crop using a console. The personalised functions are again a huge selling point for me as a wedding photographer, I have about 5 common presets that I use in my work and then maybe 10 others that I occasionally work with. With the 16 personalised functions all available you can quickly skip between presets within seconds, combine that with being able to make multiple colour and lighting adjustments at the same time, you are gaining a huge amount of time saved per image...HUGE! The colour adjustments, I'll be totally honest I don't use that much anyway, but for anyone that does, I can see the Loupedeck winning at this well. The console allows you firstly to select Hue, Sat or Lum which activates the colour adjustment wheels along the top. You also have a bright LED to notify which of the above you're currently controlling. These scrolling wheels work very like the dials, you scroll them up and down for the desired colour, you can press the wheel to return to zero and move quickly from end to end for harsher results. There are a few adjustments I make which Loupedeck doesn't cater for, firstly we mentioned earlier you will have to grab the mouse to help with your cropping. Secondly, I regularly make Lens Correction Adjustments which again you're going to have to rely on your mouse/trackpad. I have C2 set up to select my Graduated Filter Tool which I use heavily on my skies within my wedding photography. I also have C3 set up to toggle my Spot Removal Tool on and off, to use both of these tools you will need to grab the mouse as usual but it certainly does speed up by pre selecting the tool and then it's ready to go with your mouse. As much as the performance is perfect from the Loupedeck, honestly, the experience is what sells it for me. It has completely changed my approach to my workflow and editing, those days during wedding season where I have 5 to 10 weddings all sat on external drives ready to start editing used to send me a little bit crazy with just the thought of working through them all, now I'm actually excited to stand at my desk and start editing. There's something special about how the Loupedeck connects you with the photographs you're editing, something that isn't just quite there with a mouse and keyboard. I think that split second where your eyes have to move off the photograph to navigate down your develop settings or scroll for that desired preset might just be the gap Loupedeck has bridged. Without sounding too cheesy, when I first started using the console, I got the feeling this is what DJ's must feel, creating music with their fingertips. I would actually say I've gained more confidence in my editing whilst using the Loupedeck, it's so much easier and quicker to make adjustments, it allows you to quickly combine effects together to get those images just the way you want them. I can quickly work my way through hundreds of wedding photographs and hardly, sometimes never, take my eyes of the actual images I'm editing. It's also got that 'photographer's feel' about it, as professional photographers, we're so used to holding something of value that creates an image, we're constantly using our fingers and thumbs to scroll through shutter speed and apertures and select our focus points on our camera. Then we upload our images to edit and we lose that freedom of our hands, we're almost shackled to a mouse and keyboard. The Loupedeck has something very familiar to using a camera, it's all there at your fingertips, you don't have to look away from the image in front of you. I guess it's very similar to when Wacom tablet came around, which gave illustrators, designers and photographers that freedom in their editing... it's actually surprising it's taken so long for consoles that work in Adobe Lightroom to come along. So when Loupedeck mentioned they were sending me out a console to field test I got rather excited and honestly it didn't disappoint. It probably landed during the busiest time for me as a wedding photographer and I was a little hesitant to unbox it and start using it during such a busy period but I'm certainly glad I did. The main selling point for me is the enjoyment and ergonomics it's brought into my workflow, it goes without saying I wont be touching Adobe Lightroom again without the Loupedeck to hand. I edited Kelly & Sam's full wedding, including selecting the images to edit from over 4000 Raw files from the trip, from start to finish the Loupedeck proved an asset rather than a hinderance. For any wedding photographer who spends a considerable amount of time in front of Adobe Lightroom it's well worth consideration. If you're looking to considerably speed up your editing time and replace the restrictions of a mouse and keyboard I would highly recommend, of course, it doesn't replace the mouse/trackpad and keyboard fully (although I actually can't remember hitting the keyboard throughout the whole edit). I see the console as a 90% replacement and then using your mouse/trackpad for particular adjustments. The price for professional photographers I think isn't any issue, the console is something you will use every time you load up Adobe Lightroom and will more than repay you in time saved. For amateurs and hobbyists the price might be a little steep, like everything it's all personal preference but in my opinion it's a great asset to have in your editing arsenal. 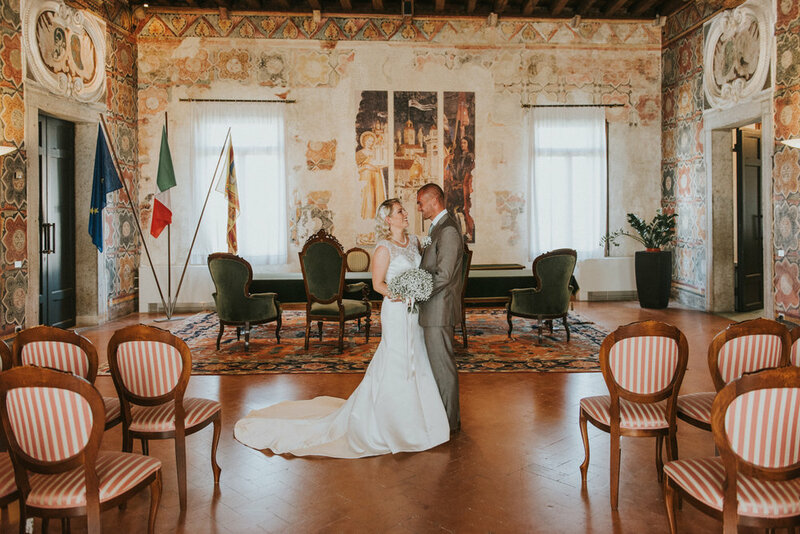 Below are some of the images I edited using the Loupedeck console and you can view more of Kelly & Sam's Italian Wedding by clicking here!